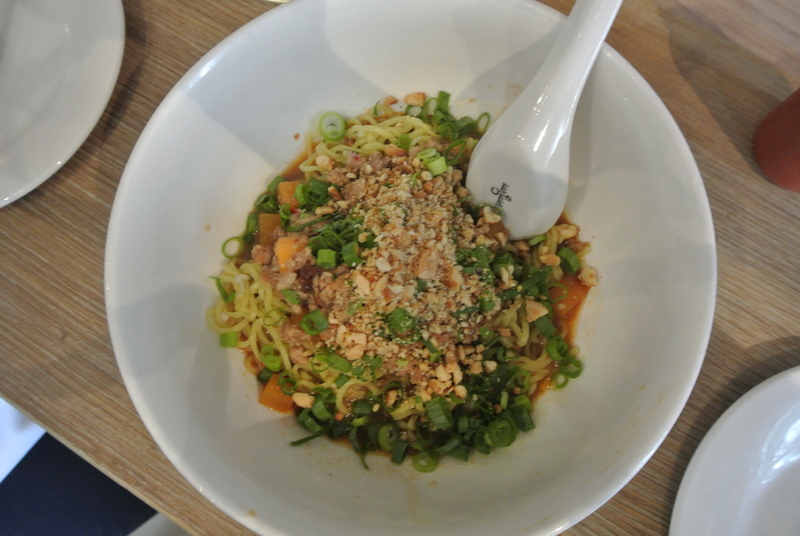 For my birthday, one of my closest friends J took me to Momofuku Noodle Bar Toronto! I was so excited because it has been on my list of restaurants since it opened….and I have to admit, I have huge crush on David Chang!!! Although I’ve eaten at Nikai, which is located on the 2nd floor above the noodle bar, the menu is completely different. The noodle bar has a simple menu of 5 to 6 appetizers, noodle dishes and snacks. 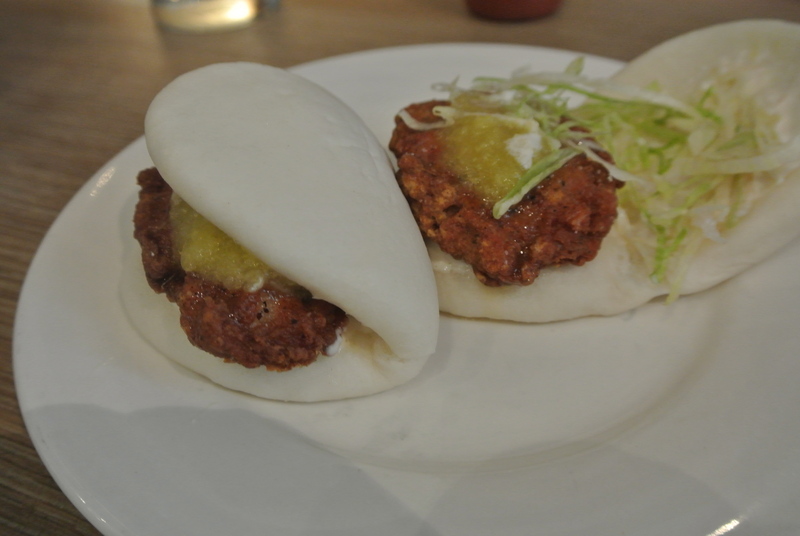 Famous for his steamed buns, we order the crispy chicken buns which was delicious! So crunchy but light. Then it was time for the classic Momofuku ramen. And to be honest, I’ve had better. Don’t get me wrong, it was good…..but it wasn’t the best I’ve had and I know what you’re going to say, “of course it isn’t, you’ve been to Japan”. However, I’ve had better in Toronto, yes Toronto! At Kinton – the broth just had so much more flavour. But the most unique part of the meal had to be the soft serve! And after months of drooling over instagram pics posted by Momofuku, I was finally able to try their soft serve. Both the cereal milk and coffee flavour soft serves were good but what made it unique was the cornflake crunch – it was salty not sweet. And combined with the a “not so sweet” soft serve, the meal didn’t have that typical sweet ending. Nevertheless, had a great time catching up with J! Dan Dan Mein – drier noodle dish with pork, dried scallop and peanut. Crispy Chicken Buns – with pickled pineapple, lettuce, bacon and chilli. 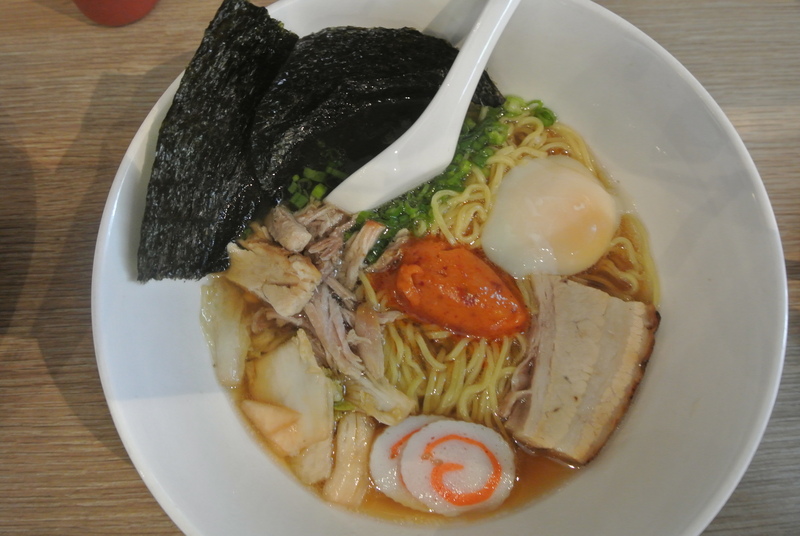 Momofuku ramen – with pork belly, pork shoulder, fish cake, egg and seaweed. 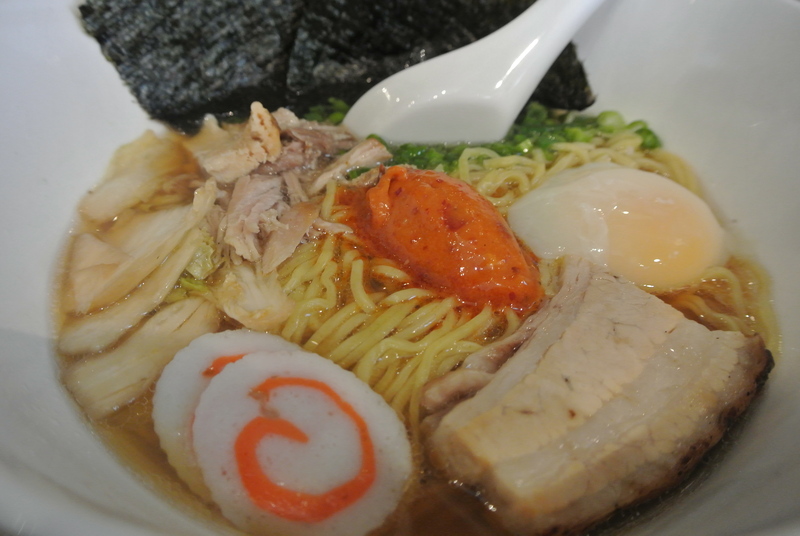 A closer look at the classic Momofuku ramen bowl. 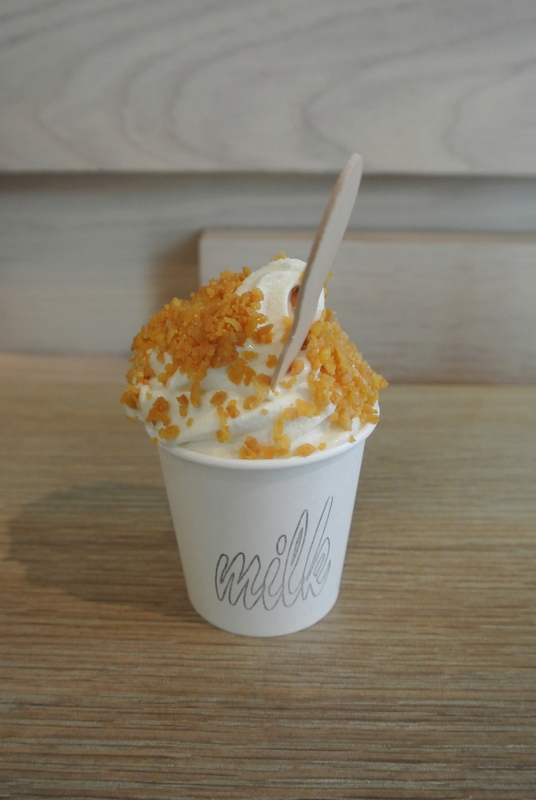 Soft serve – combination twist of cereal milk and coffee soft serve with cornflake crunch.